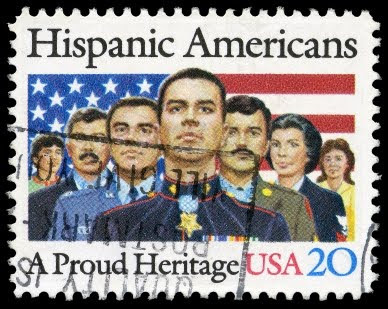 Today marks the beginning of National Hispanic Heritage Month. What a wonderful opportunity for us as parents to discuss the contributions that Latinos have made in our history. It is also a great time to talk about the diversity of Latino cultures. My kids and I will be talking about the different Spanish speaking countries in the Americas over the next few weeks and looking for activities, books, and lessons that help them appreciate and learn about their heritage. This might be my favorite site for information and activities. Specifically, you might take a look at their sections "From Vaquero to Cowboy" and "Latino Family Stories" and "Música del Pueblo". The best book on the market covering the history of Latinos in the Americas. Filled with fun activities and recipes for all ages. Click here for a complete review. A VERY comprehensive list of resources for educators and parents. I especially love the sections on lesson plans and resources for children. This site has some really good lesson plans for older children in both English and Spanish. A really great lesson plan for 5th graders. This unit could be modified for older or younger students. A good site for information and interactive learning. Lessons are divided according to grade level. Be sure to check out the Teacher's Guide for help preparing and teaching the lessons. Great resources Monica. I love the lesson plans and mini-units. This is really great! I have been homeschooling for 4 years now, and today is the first time I have come across your page.